The multireflexology tools produce yin and yang stimulations. They help to activate the microcirculation of blood and lymph in the areas treated and activate the self-regulation process. When we stimulate a reflex area on the face related to an organ or a limb, we are communicating with the brain. There is no direct relation between the area or the reflexology point and the limb or the brain. We believe that our brain has the capacity to reactivate the flow of energy (the Qi) and that using reflexology serves to stimulate this process. The tools are also used directly on the body, giving fast relief from pain, offering in-depth treatment and improving microcirculation. When calculating a treatment, according to the symptom FACEASiT proposes the two most suitable tools for the parts of the body in question. The carousel on the right shows all the tools in the catalogue, highlighting the two that are recommended. Effects tab: information about the effects generated by each tool. Recommended tab: recommendations and examples of use of the tool. + pointers for using it in Chan'beauté. Technical info tab: detailed description of the tool. For further information about each multireflexology tool, you can study its online file via FACEASiT or by using the search engine. The number of the tool followed by .multireflex.com (e.g. http://307.multireflex.com) will show you a complete file. All the explanatory videos about use of the tools can be seen on our YouTube channel: tv.multireflex.com. see the end of the page on studying Diagrams and points. 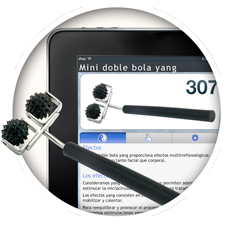 To buy one or more multireflexology tools, click on the image of the tool to go to its fact file. Once inside the file, the icon of a shopping basket with a + on a green background lets you add the tool to your basket. You must specify the geographical area of delivery under preferences before you start shopping. To view the contents of the basket, click on the icon in the top right-hand corner that shows a red shopping basket. The “Pay now” button on the cart opens the payment window at our shop, DIENSHOP™. Payment is made using the PayPal™ electronic payment system, which offers a secure connection (https://www.paypal.com). All credit cards are accepted. The page changes automatically to your language and offers the forms of payment available in your country. PayPal™ is the most secure method of electronic payment and does not share your account details with the vendor. You need an Internet connection to be able to pay. 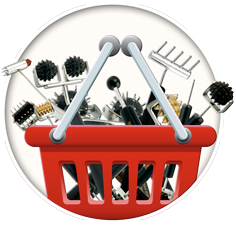 To add a tool to your shopping basket, click on the red basket in the tool fact file. The geographical area of delivery selects the cost of sending from Barcelona before you buy. On the secure page hosted by PayPal™, you will have to specify your full delivery address. If your delivery address does not correspond with the geographical area specified, we will ask you to pay the difference before dispatching your order. • For large orders of tools, contact us at pro@dienshop.com or by calling +33 (0)767 880 190. 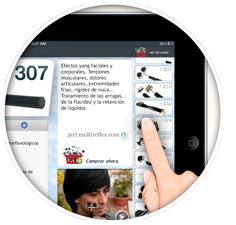 We offer discounts as of 15 tools of the same reference number. On receipt of payment, we’ll send you confirmation by email to the address provided when making payment. We treat each order with great care, so answers are not immediate. PayPal carries out antifraud checks, which may delay the process. If you do not receive an answer from us or from PayPal within 48 hours, it means your payment has not been validated. Packages are sent by certified post to the address given at the time of purchase. If the geographical area stated at the time of purchase does not correspond to the geographical area of delivery, your package will not be sent until the difference has been paid. Once it has been delivered to CorreosEspaña™, you will receive an email with the tracking number for your order. You’ll be able to track your package by following an electronic link. We have been shipping worldwide every week since 2002. 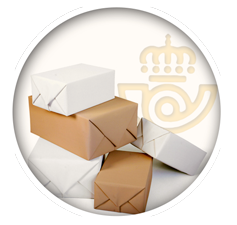 The services of CorreosEspaña™ are functioning perfectly at the time of writing (July 2013), but deliveries may vary according to the country of destination and customs services. • If you have not received your package within 36 days as of shipping confirmation, please contact us so that a formal claim can be made. No claims may be made before this time. Once the claim has been settled, we will resend your order or, if you prefer, return your money. • Save delivery costs by visiting our office in Barcelona - Spain. Contact us by email at info@facioterapia.org to arrange a time. Many of our students liken buying a tool to buying a face cream—the only difference is that the tool will last you a lifetime! 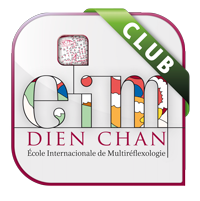 When you buy our multireflexology tools, you are helping to pay our manufacturer in a sustainable way and finance our school. We try to keep prices down despite fluctuations in the euro and the high quality raw materials. The price you pay includes taxes and shipping costs. If the geographical area declared at the time of purchase does not correspond with the geographical area of delivery, your package will not be dispatched until the difference has been paid. If you have an intra-Community VAT number (except Spain) and would like to make your purchase as a professional, please write to pro@dienshop.com and ask for a quote, specifying reference numbers and quantities of each tool, your intra-Community tax number and full details. Our company, Multireflex s.l. (tax number ESB65720146) issues the invoices. All sales are Spanish and follow the taxation regulations currently in force. No direct taxes paid will be refunded without a prior quote. *To buy the tools and watch the videos, you need an Internet connection.